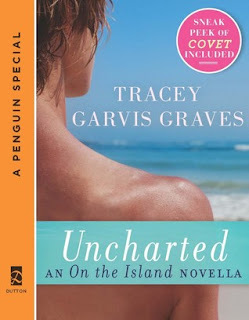 Tracey Garvis Graves - and Anna and T.J. - return in this companion novella to the New York Times bestseller On the Island. When twenty-three-year-old dot-com millionaire Owen Sparks walked away from his charmed life, he had one goal in mind: get as far away as possible from the people who resented his success, or had their hand out for a piece of it. A remote uncharted island halfway around the world seemed like a perfectly logical place to get away from it all. Calia Reed wasn't part of Owen's plans. The beautiful British girl - on holiday in the Maldives with her brother, James - made Owen wonder if getting away from it all might be a lot more enjoyable with a carefree girl who didn't know anything about the life he left behind. But Owen had no idea how much his carefully detailed plans would go awry. Nor did he realize that a decision he made would have such a catastrophic effect on two passengers who boarded a plane in Chicago. And when Owen shows up at Anna and T.J.'s door with an incredible story to tell, everyone involved will learn just how much their lives are intertwined. On The Island is a new all time favorite book for me, so when I heard there was a novella that continued the story I had to read it! This story does not work as a stand alone. I highly recommend that you read On The Island first. This did not disappoint. In On The Island, we learn that some one was on the island before TJ and Anna-Owen. Uncharted is Owen's story. It's just as heartbreaking and uplifting as On The Island was! The POVs switched throughout this novella, and I loved that because honestly I could not get enough of Anna & TJ. It was great to have their perspective of how different Owen's stay on their island was then theirs. I want to say more about Owen's story-he and Calia were an interesting match & I loved their story. but it's hard to do without spoilers. I'll just say this was a wonderful short read and I wish all novellas were written with this much warmth & passion. This is a series you don't want to miss!